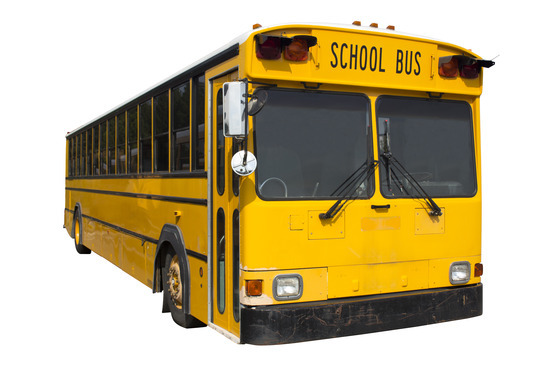 Posted by Glenda.Y.Hicks with Comments Off on Accountability–Who’s on Your Bus? In the work that I do for nonprofit organizations, I find a consistent pattern. Accounting is perceived as a necessary evil that few want to understand, to which even fewer want to commit the necessary resources. I am biased I know, in always wanting to promote my profession, but virtually every event that occurs within an organization has a financial impact and/or at least is touched by the accounting department at some point. Think about these events. Each of the above “short listed” events involves the accounting department in some way. Unbeknownst to many, there is a difference between bookkeeping and accounting. Very briefly, bookkeeping involves the mechanical steps for capturing transactions that occur within an organization which often results in financial reports. Accounting however, encompasses the bigger picture of capturing those transactions within a system that interprets the information, applies complex accounting rules, produces reports and allows interested parties to make necessary decisions. Many times, nonprofit leaders recognize the need for properly trained, educated, and experienced individuals with accounting, finance, or business management degrees to manage and lead the accounting function for which they either higher the talent or outsource to a consultant. What they fail to recognize though, is the need for properly trained, educated, and experienced bookkeeping staff. All too often the only person in the accounting department of a nonprofit organization is the equivalent of an “accounting” clerk. They’ve learned by doing or perhaps attended limited training. Management employs someone who can perform tasks but the person does not necessarily understand the rules behind what he or she is doing. This inevitably leads to mistakes for which the bookkeeper/clerk cannot identify the cause because (s)he does not understand what the accounting program (often QuickBooks) is doing behind the scenes. They do not understand the transactions that are recorded as a debit and a credit when they enter a check or a deposit, for example. They do not understand the relationships between balance sheet accounts and profit and loss statement (statement of activities) accounts so they cannot analyze and discern when transactions are missing or miscoded. They cannot prepare schedules for the auditors because they do not understand what is being requested, why it is necessary, where to obtain the information, or why various systems should reconcile to one another. Many times, the person does not understand why gaining a full understanding of the transaction is important as it relates to properly recording it in the accounting records. These deficiencies lead to inaccurate, untimely (because of necessary clean up), costly (because of engaging outside consultants to assist) and sometimes noncompliant reports. Naturally, one would not expect the bookkeeper alone to possess all of these skills, but the second problem is that many times no one else within the organization possess them either or sufficiently understands accounting and tax exempt rules. The bookkeeper stands alone without adequate supervision, review, and direction. What is even more disheartening is that in the cases I have seen the staffs that perform these clerical tasks feel horrible. They all want to understand, want to account for transactions completely, want to learn more, and want to do well. But they are limited in their advancement most often because of lack of funding committed to accounting. It is not solely because management or the leadership does not understand the gravity, but oftentimes it is because few funders want to commit funding to overhead. Everyone wants transparency, accountability, and compliance, but few want to pay nonprofit organizations to bring in the talent they need to meet the call. A basic premise to internal controls in accounting is segregation of duties. If all duties are concentrated in one person, how will an organization prevent and/or detect errors and irregularities? Many nonprofit organizations function with just one person in the accounting department (as briefly mentioned above). All accounting departments should have at least two people to be able to provide some minimum level of segregation of duties. In small organizations, individuals outside the department can be made a part of this system including office managers, receptionists, and development personnel. It is a matter of recognizing the needs then identifying the necessary personnel. The bottom line is this. Accounting is more integral to the success of a nonprofit organization than many understand or are willing to admit. This permeates all levels from outside the organization in the form of grantors and donors to inside the organization including boards of directors, management, and staff. If nonprofit organizations want to be trusted, if they want to secure the resources they need to accomplish their mission, and if they want to serve the growing needs in our communities, while withstanding the public demand for accountability, transparency, and compliance, then they must take a personnel inventory and ensure they have the right people on the bus, and in the right seats! Only then can the leadership drive the organization in the direction it needs to go to serve its clients.